Accessible, secure and aesthetically pleasing, the Arc Racks are a popular choice for reliable and effective bike parking. 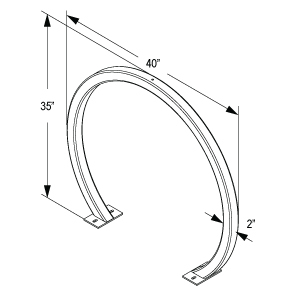 The elegant arching design provides easy pull-up parking with two points of contact, ensuring top bike stability and security. Manufactured with 2"O.D. 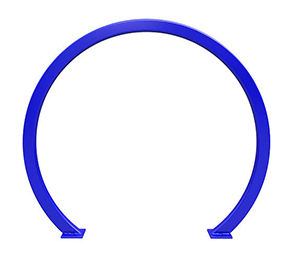 11-gauge square steel tubing, the Arc Rack features modern geometric lines that readily complements facility spaces. 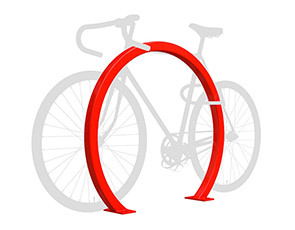 The Arc Rack bike racks are a fantastic addition for along sidewalks, schools, office parks or in retail outlets to support and encourage bike ridership. Both in-ground and surface mount models are available in the popular color options as shown.